Home» News » Join Our Team! 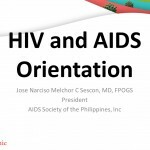 The AIDS Society of the Philippines (ASP) is a leading association of professionals from various sectors in the community (government, non-government agencies, and the private sector), with a common unifying interest in preventing the spread of HIV and AIDS. As a professional society, it counts among its members, experts and professionals from diverse fields such as health and development, infectious diseases, public health, business, and media and communications. 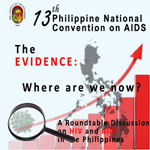 The ASP was established in 1996 by its Founding President, Dr. Ofelia T. Monzon, who pioneered investigative studies on HIV/AIDS at the Research Institute for Tropical Medicine in Alabang, Muntinlupa. Its mission is the promotion and support of activities to prevent and control the spread of HIV/AIDS. Shortlisted Applicants will receive an Interview Invitation.